My name is Mel, i'm 39, i'm an aeronautic mechanic, and i'm french (so please, forgive me for my english). i'd like to introduce my superchicken. I found a lot of informations to do the mods on this forum, so thanks you everybody ! And please excuse my French, I cheated and used Google translator ...so its possible I said "Welcome, nice looking poodle, best enchanged baguette I have peed on "
Tell us about the faring swap please. Other then custom mounts for it..was the CBR fairing modified at all to fit? Material added or removed? Well, actually, if you hang on the Idea of swapping the fairings without making custom brackets, you will make nothing good, with a "Much too high" front fairing, and a "much too low" rear fairing, like almost all the fairings swaps i've Seen on superhawk. 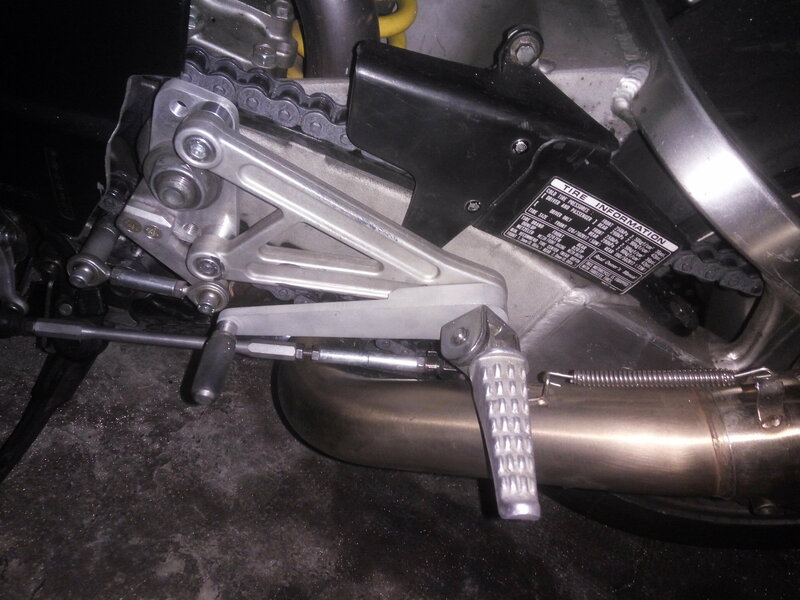 i made a custom rear subframe and a custom adjustable front fairing bracket in order to fit the whole fairing kit without modifying it that much. 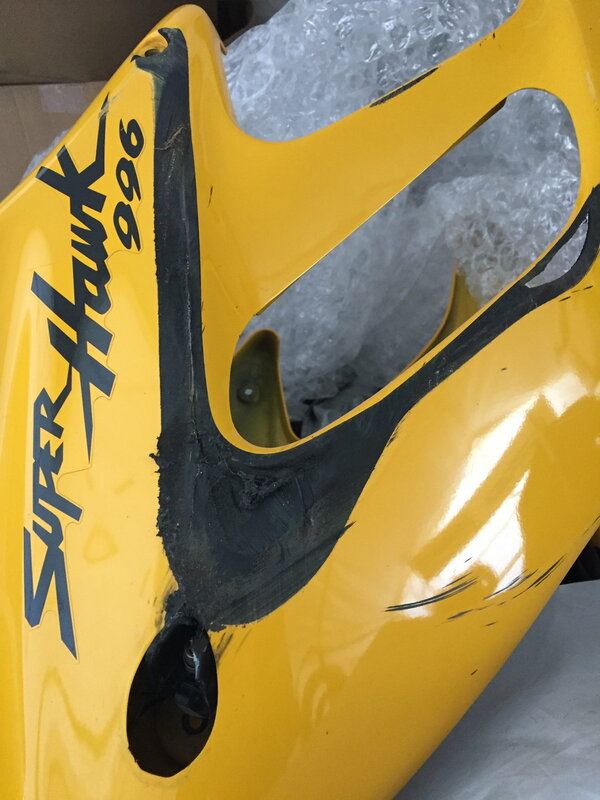 The rear fairing is almost full stock, and the front one modifications only consist in cutting some plastic to make it match to the radiators and engine shape. 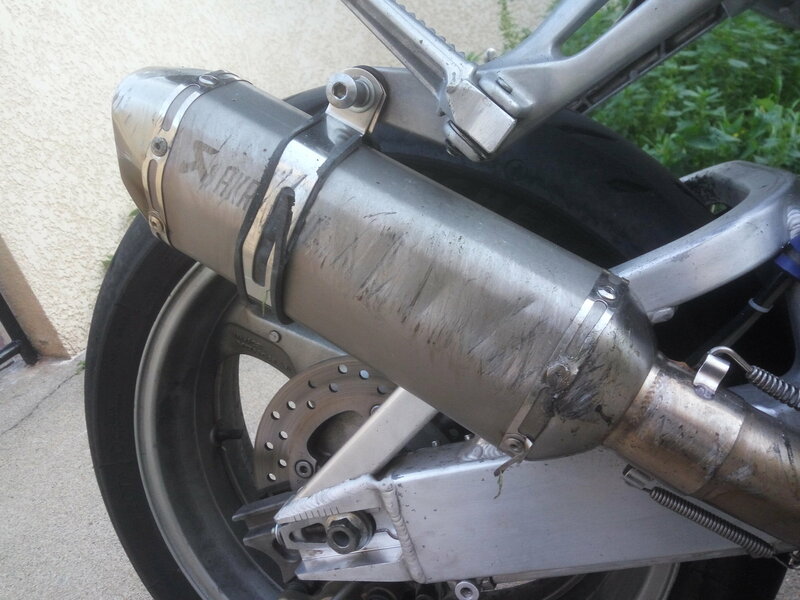 tabarnac cest une belle job sur ta fairing. jaitais a paris, Toulon et la corse. la corse a des belle rue pour moto. 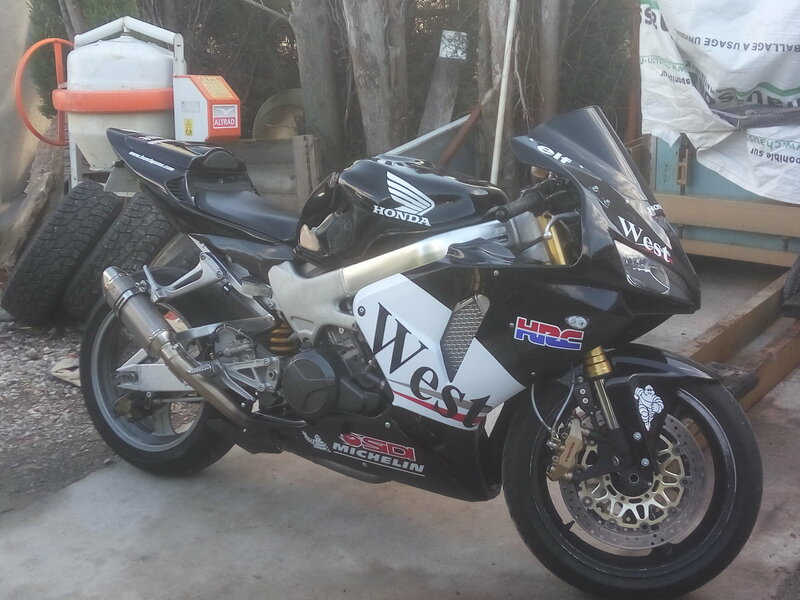 but the most difficult was not the fairing Swap. are you going to powder coat the wheels? For the rear sets, i don't really Know where they come from.... I had them in my garage since years. i made a system with 2 mounting holes that allows me to adjust the "AFT/Fwd" position, and an adjustable rod for the vertical position. Yes absolutely would like to see pictures of the fairing brackets, and yes that was my point I understand they are required to be custom made to fit the fairing correctly. Yours, the fairings really seem to fit he lines of the VTR frame and envelop the motor well. 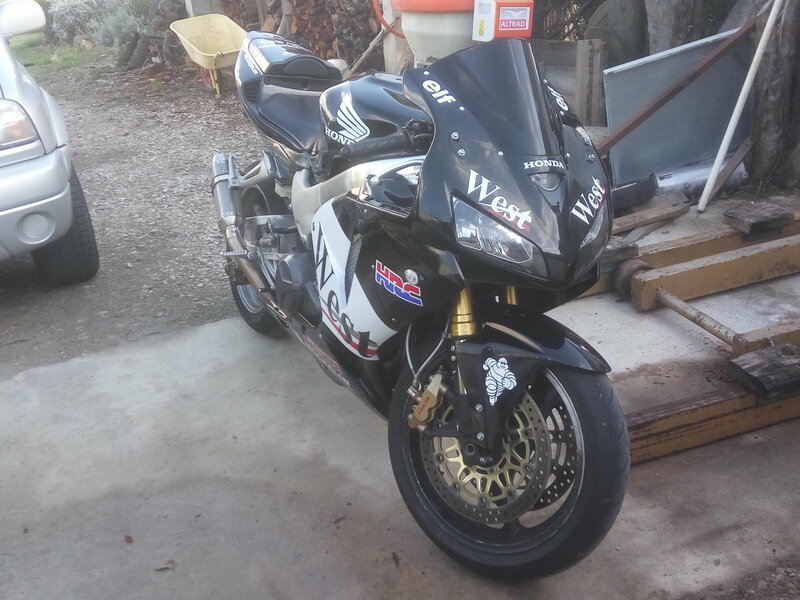 The swap would give me the improved twin headlight bulb design I need to use two HID projectors.. As well as cbr600rr 2006 fairings are much easier to find than good used VTR fairings. 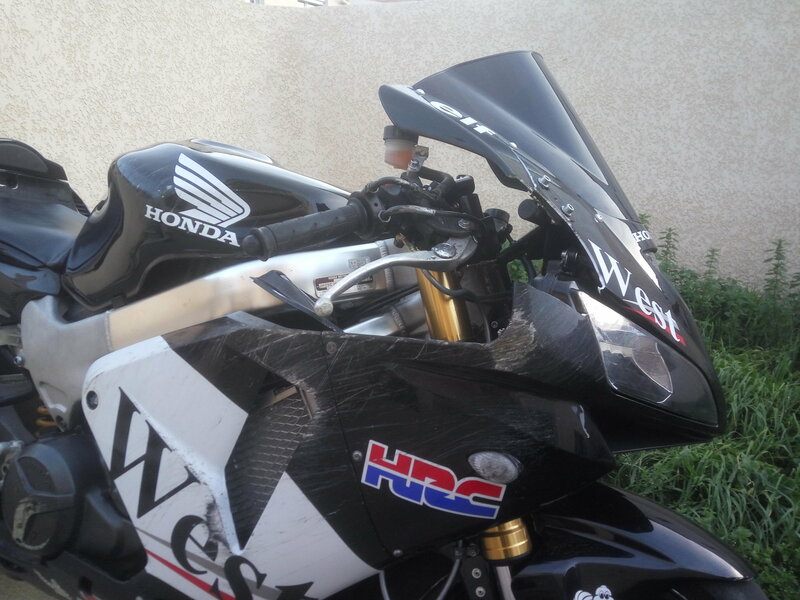 Question, which 2006 CBR600 fairings were used.? CBR600rr or CBR600f4 both are listed for 2006 and use different "upper cowling"
From the pictures you posted I think you used the CBR600F4i but would like to confirm that. 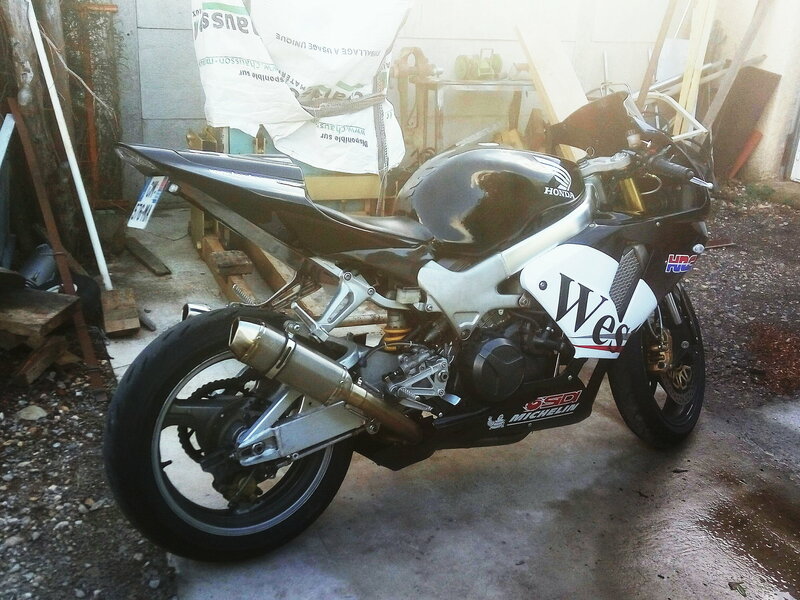 I used a 2005/2007 cbr600rr fairings kit for the entire bike (rear and front), as the last year of production for the F4i was 2003 (in France). Last edited by melouse; 11-26-2018 at 07:00 AM. Ahh ok you used an after market fairing kit. How was the fit? Tabs? holes? over all looks? Seeing as one of the biggest complaints on the after market plastic is the fastener hole locations being slightly off, or ill fitting...and this swap uses custom hangers... That issue goes away. Welcome Mel. 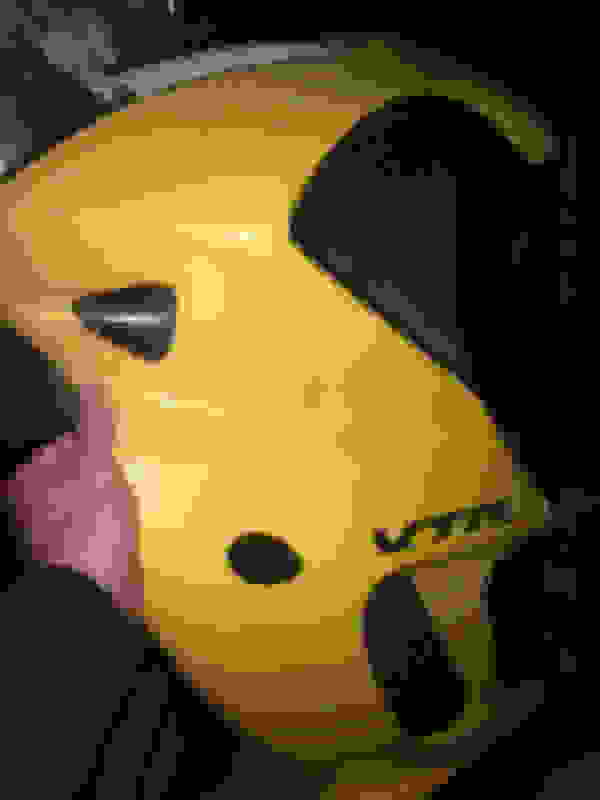 Awesome looking, um,, VTR? Lol. Is that a set of oe cct's I see? I used a chinese kit. For 350€ on eBay, i've had ABSOLUTLY all !!!! The smoked screen, the heat Shield for the exhaust, the ram air intake, all the plastics that go inside the fairing....... ALL ! Last edited by melouse; 11-27-2018 at 10:25 AM. In Honda vocabulary, the "F" models are "road-sport" bikes, the "RR" ones are more radical, and the "SP" ones are almost track-bikes. That my vision of what Honda should have done to really challenge the ducati 916 they were aiming. edit: maybe cct is cam chain tensioner..... Am i right ? And OE ? Last edited by melouse; 11-26-2018 at 07:44 AM. Correct. 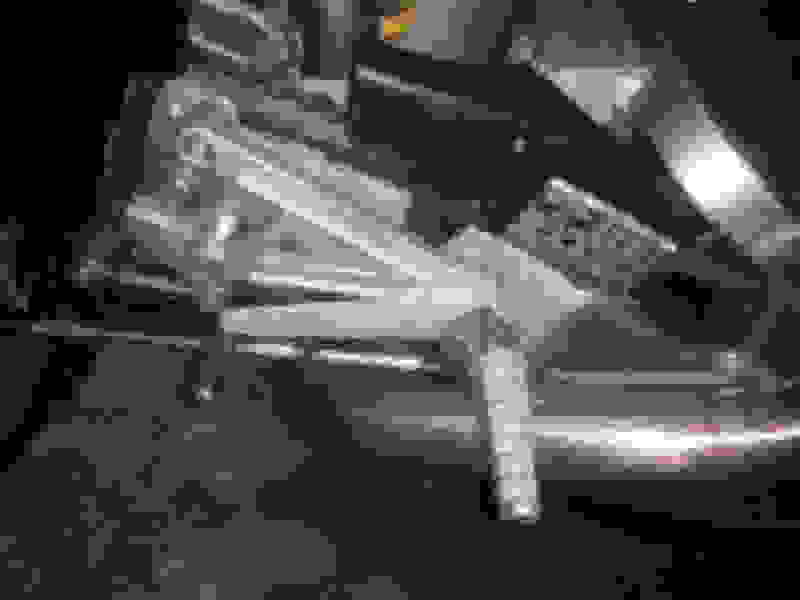 Looks like the factory auto cam chain tensioner, no? 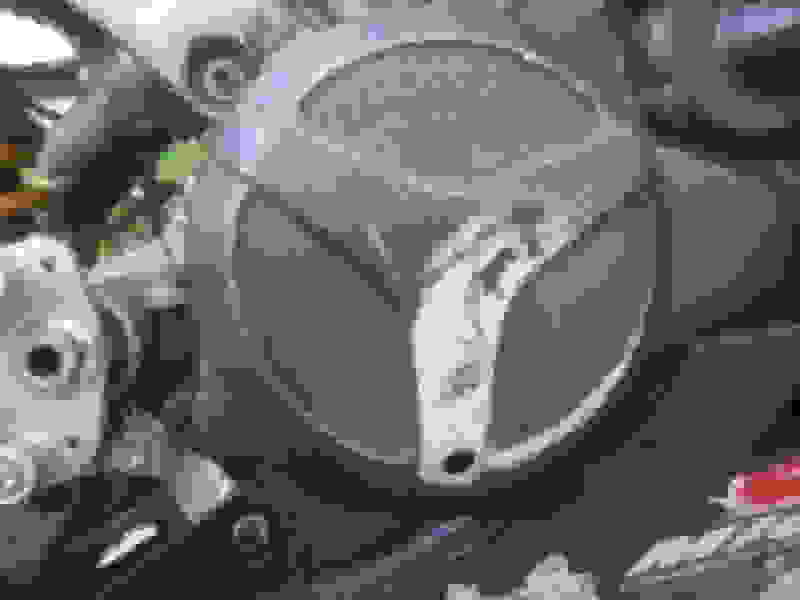 what do you use on your engine ? Not the OEM autos which have a fine wire coil spring that commonly fails which causes cams to go out of time and a crash of valves with pistons. Last edited by E.Marquez; 11-26-2018 at 08:10 AM. but, with those manual tensioners, how do you Know that you apply the good tension to your chain ? Is there a specific torque to apply ? 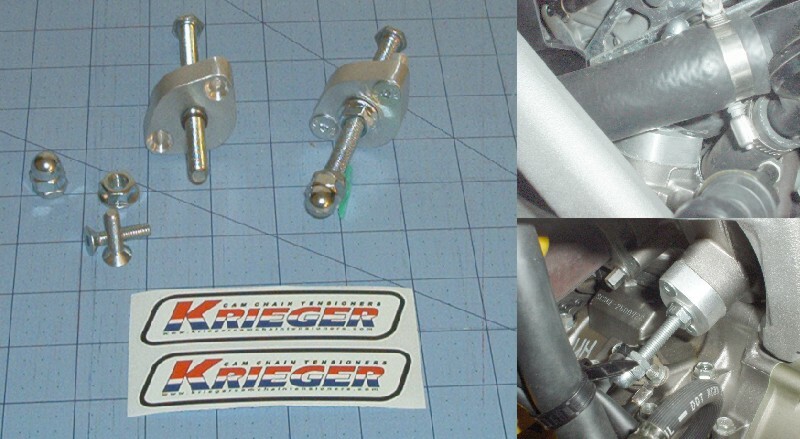 There are several good write ups to help with the install. Read though both, ask questions,,,,or clarify what you think it says...its a good way for someone to read your thoughts on the process and "see" there is a mistake or confusion. those rearsets look really cool. they really are unique, like nothing I have seen before. thanks for the close up shot. My engine was empty of oil, and i came back home without a good lubrification (about 10km/6,5miles). Last edited by melouse; 11-28-2018 at 10:35 AM. but maybe we can help each other ! Are you still looking for OEM fairings ? Mine is in good condition, ans guess wich rare color it is ???? ?